Are you looking for an affordable way to improve the condition of your skin? You don't have to spend a fortune on spa visits or expensive beauty products to enjoy the benefits of exfoliation. If you're on a mission to beautify on a budget, consider making your own scrubs with low-cost ingredients that are likely already in your pantry. Here are some simple instructions for creating home exfoliation remedies that can be quite effective. Some of the best exfoliates are found right in your pantry. 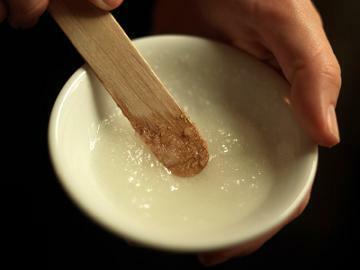 Salt, sugar, and oatmeal all have granules, making them ideal for dead skin removal. Before you make your exfoliate, check all ingredients to make sure there are no sharp pieces. The goal is to gently abrade the skin, not to scratch it. Overly aggressive exfoliating with large or sharp grains can lead to skin irritation. Sometimes you want a long, drawn-out pampering session; other days, you want to cut the frills and just see results. A basic oatmeal scrub is perfect for your no-frills days. Combine oatmeal and baking soda. Add water, mere drops at a time, stirring until a paste forms. Apply to face, gently rubbing in a circular motion. If you are looking for the exfoliation of oatmeal, but you also want to be pampered, try this spa-style recipe. Remember, when you are planning to exfoliate your face, you must take extra care to avoid scratching or irritating that delicate skin. Apply to wet face, rubbing gently. For a pleasing all-over body scrub, try sugar. The fine grain makes for a gentle, yet effective, exfoliation. Mix the sugar and oil until well blended. Add 10 to 15 drops of essential oil for fragrance, if desired. Apply the mix to wet skin with hands, washcloth, loofah, sponge or bath glove, gently rubbing in a circular manner. Like the sugar scrub above, this salt scrub is appropriate for the body, but should not be used on the face. Mix the salt and vegetable oil until well blended. Stir in 10 to 15 drops of essential oil if fragrance is desired. Baking soda is a mild abrasive that can be used to exfoliate. This is also a very affordable item, perfect for budget beauty lovers. Combine a few a small amount (1-3 teaspoons for the face and 1-3 tablespoons for the body) with just enough water to make the mixture easy to apply to the skin. Add a drop or two of essential oil if desired. Apply the scrub with a wash cloth, gently massaging the skin as you scrub. While exfoliating can be an excellent addition to your beauty regimen, there are also times you shouldn't exfoliate. For example, if you have an undiagnosed skin rash or condition, check with your doctor for diagnosis and treatment, since exfoliation can actually aggravate some skin conditions. Additionally, you should not exfoliate skin that has abrasions or is broken, scraped, or sunburned.